Two significant shareholder letters were released this week. The first was from Sears Holdings’ Chairman Eddie Lampert; the second from Berkshire Hathaway Chairman Warren Buffett. And while it is certainly easier, and a lot more fun, to write about good news—as Buffett has been accustomed to doing over the years at Berkshire, in contrast to the kind of bad news that has issued forth from Lampert’s fading retail giant of late—there is, even so, a remarkable difference in both the substance and style of letters by two men who actually have a great deal in common. For one thing, both started out as hedge fund managers. For another, both are without peer in their fields, and fabulously wealthy as a result. For a third, they each got into the position of writing annual shareholder letters as a result of taking control of a fading, once-giant, public company. Finally, they each spent years personally wrestling with how to turn the original business around. In the end, of course, one (Buffett) decided the rational thing was to disinvest in the original business and re-create the company to his liking, while the other (Lampert) is still wrestling with Sears even as he extracts cash from “hidden” assets like real estate and minority-controlled subsidiaries. Still, differences between the two men are legion (Midwest publicity-magnet versus East Coast recluse, for starters) and do not end with how they played the hand they were dealt: differences in how to hire, invest, manage and incentivize people are revealed in almost every sentence of the respective shareholder letters they have penned. Indeed, so remarkably different are the letters that we here at NotMakingThisUp couldn’t help but compare the two, by topic. By being so cautious in respect to leverage, we penalize our returns by a minor amount. Having loads of liquidity, though, lets us sleep well…. That’s what allowed us to invest $15.6 billion in 25 days of panic following the Lehman bankruptcy in 2008. “It’s easy to identify many investment managers with great recent records. But past results, though important, do not suffice when prospective performance is being judged. How the record has been achieved is crucial, as is the manager’s understanding of—and sensitivity to—risk…. In respect to the risk criterion, we were looking for someone with a hard-to-evaluate skill: the ability to anticipate the effects of economic scenarios not previously observed. Finally, we wanted someone who would regard working for Berkshire as far more than a job. “Given the large proportion of the Sears Domestic business which is in 'big ticket' categories and linked to housing and consumer credit, Sears is much more susceptible to the macro-economic environment than Kmart. But I don’t accept this as an excuse: our results at Sears in 2010 were completely unacceptable. The profit erosion at Sears Domestic occurred primarily in appliance-related businesses and in the Full-line Store apparel and consumer electronics businesses…. “When industry margins are shrinking, an organization must respond by adding new innovative products and bundling them with services and solutions that meet customers’ evolving needs…. “The new management in our appliance business has already taken actions to rebuild leadership in this area and to further reinvigorate the Kenmore brand…. [Editor’s Note: We are not making this last part up; the author also discusses leasing out space to Whole Foods]. "Furthermore, not a dime of cash has left Berkshire for dividends or share repurchases during the past 40 years. Instead, we have retained all of our earnings to strengthen our business, a reinforcement now running about $1 billion per month." "Share repurchases are not a panacea, nor are they a singular strategy. Yet they are more than just the return of capital to shareholders... As a form of discipline on alternative capital allocation strategies, share repurchases can magnify returns." I'd rather bet on Eddie vs Warren. Warren is nearly done with his career. It's been a great ride but risk reward is skewed to Eddie vs Warren. How much will BRK drop when Warren retires? Eddie has potential to take Sears private and still has HUGE opportunity to transform a business. Perhaps Eddie's day is still ahead. One thing that is clear. These guys are polar opposites. One is liberal and one is conservative. One is aweshucks in public and ruthless in private. One is reclusive in public and couldn't be nicer in private. As you can tell I am a friend of Eddie's and have a bias. He's one of the stronger thinkers I've ever been around. Have you considered that your analysis of Buffett v Lampert is clouded by the halo effect? Buffett is a legend and is sitting on top of the world and it tends to have a strong impact of how people perceive what he's doing. Lampert has hit a rought spot and I think that likewise colors people's assessment of him. It reminds me of Cisco where pre bubble people though that everything they did was perfect and then post bubble people thought that everything they did was poor and then later everything they did was pretty good - people have trouble make judgments of elements of a person or business independent of their overall assessment. Like first anonymous, I wonder if three years from now your article might be one you regret. Keep up the good work. AB: Thanks for your thoughtful input. I say right up front that it's easier to write about good news than bad news, and Sears hasn't had much good news for many years. And, yes, if Lampert were writing about Autozone, which has been one of the all-time great retail investments of anybody's career (and why I call him 'without peer'), the letter would be more fun reading. But the letter is about Sears, and much of what Lampert writes struck me as, frankly, delusional and bizarre. The comparisons with Apple were just one example. More importantly, the operational stuff seemed to have very little substance. As for the comparison to Cisco (which I think might apply more to Apple, where nobody thinks anything can ever go wrong), it's been 7 years since the K-Mart merger. That's a long time, and yet Sears Holdings continues to lose customers, market share and relevance. Will this change? I don't believe so. Sears spent $400 million last year on its stores: Wal-mart spent $12 billion. That's a losing battle. So I'll wager that 3 or 5 years from now, Lampert will have continued to extract cash from Sears, and the investment may look good on a per-share basis (post buybacks)...but that Sears will be smaller than it is today and even less relevant. But your comments are worthwhile and appreciated. "Will this change? I don't believe so. Sears spent $400 million last year on its stores: Wal-mart spent $12 billion. That's a losing battle." This statement somehow assumes that Eddie is trying to fight this battle. I don't think that's the case. He's clearly not investing in the stores. He's more interested in per share return than in taking on Walmart. I do agree that some of his letter was a bit bizarre and lacking substance. His use of his letter as a political soapbox was rather odd as well. (1) Hiring: Lampert comes right out and says that you can't just hire people if they won't do any good for the company: Business leaders don’t sit around thinking, “How can we create more jobs?” They think about, “How can we create more value?” or, “How can we create more and better products?” or, “How can we grow our company?” The addition of new jobs in any business is driven by these types of questions and answers to them. Buffett would never be so cruel as to come out and say that you may have to fire people when you don't have work for them. But then there's this: "Our businesses related to home construction, however, continue to struggle. compared to $1.3 billion in 2006, and their employment has fallen by about 9,400." Yes, employment just 'fell'. Not 'we had to cut 9400 people', or anything nasty like that. (2) Patience with a failing business. did. And then, in a final burst of brilliance, I went out and bought another textile company. Aaaaaaargh! Eventually I came to my senses, heading first into insurance and then into other industries. And ESL: Despite our challenging performance over the past several years, the difficult economic environment, and the dramatically changing retail environment, we have generated very attractive returns for shareholders since May 2003, when we assisted Kmart in its emergence from bankruptcy. Others in our industry have grown their revenues since that time, some have grown their profits, but many have been unable to deliver shareholder performance in the past eight years. I think the story will end up with more similarities than differences, as Sears and Kmart become like Berkshire and Hathaway Mills. I believe your article to be rather simplistic and more of a comparison of apples to oranges. Just as another poster commented, you are comparing Lampert's Sears after seven years to Buffett's Berkshire after forty some years. How about comparing Sears now to Berkshire seven years after Buffett took control. 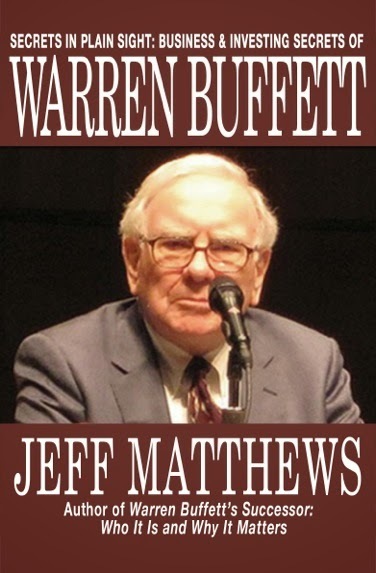 Mr Buffett admitts thats Berkshire Hathaway was one of his worst investments. If you read his early letters you will see how he tried to improve the textile operations much to his and his shareholders disappointment and frustration. I look forward to reading your next article comparing Sears to Berkshire seven years after their current Chairman took over! Rather than just cutting and pasting from their current letters. I would argue the inconsistency here is still one of timing. Both Warren and Lampert are doing the same thing, which is allocating capital to areas where the return exceeds the cost of capital, and away from areas where the return is declining. We are looking at a Berkshire that has already harvested cash from the textiles and funneled it into higher return opportunities. In this case it can now afford to double down on some of these. Lampert is doing exactly the same thing, he's just earlier in its development. The priority as an asset manager is the return on capital not the longevity of Sears as an operating entity, and I actually think Lampert would be wasting money to plow it back into Sears without seeking significant change. The real WEB letter to compare with this would be a Berkshire letter from 65 or 66 when Buffett was still working on what to do with Berkshire, and when he was already allocating any surplus cash from that vehicle elsewhere. The contrasts are still pretty severe, but i would argue its a function of timing. The 1965 WEB would recognize the fight Lampert is going through right now. Excellent comments and much appreciated. Timing: Buffett took control of Berkshire in 1965. For a look after 12 years, read the 1977 letter, the earliest available at Berkshire's web site (Try this link http://www.berkshirehathaway.com/letters/1977.html). You will find plain, straightforward talk, no rambling discourse on "delighting our customers," no comparison of Berkshire's textile operations with the Apple of its day (IBM? ): only a sober evaluation of the merits of keeping the textile business versus closing it, before moving on to the vastly more important insurance operations and their investments. I'd argue that Lampert--smart as he is (Autozone proves it)--isn't close to Buffett even on an apples-to-apples basis. But, in a few years, we'll see. P.S. We did not post one or two comments (that happened to be highly complimentary) owing to the fact that they used sloppy Yahoo-message board type language. We will keep those off no matter how nice (or un-nice!) they are. I think the difference between the two is, largely, that ESL thinks he can and wants to manage the business whereas WEB just wants to allocate capital. ESL would ve better off just allocating the capital, but it doesn't seem his ego will allow that. Mr. Matthews, you mention that Walmart spent 12 Billion in CapEx, but failed to mention that Walmart opened 34 million square feet of new retail space. 550 new stores and 34 Million square feet! Therefore, it's misleading to say that $12 Billion was spent on "reinvesting in their stores." Yes, good point. Not to mention the fact that much of WMT's spending is now outside the US. So cut WMT's $12 billion total capex in half, and cut that number in half again if you like...it's $3billion versus $400 million at Sears. "Share repurchases are not a panacea, nor are they a singular strategy. Yet, they are more than just the return of capital to shareholders. They represent an investment by the non-selling shareholders in the future of the business and the company. By repurchasing shares from selling shareholders, the remaining shareholders increase their ownership stake, thereby taking the additional risk and additional upside potential based upon future performance. When coupled with outstanding operating performance, share repurchases magnify returns. When the price paid is attractive relative to future performance, share repurchases magnify returns. As a form of discipline on alternative capital allocation strategies, share repurchases can magnify returns. But, at the wrong price, with poor future performance, share repurchases can harm returns." "Our strategy over recent years has been to use excess cash to buy back stock. We took a break from that in Q4 to reassess our cash needs and the buyback strategy, but plan to return to buying back stock in Q1. The objective of our buyback program is simply to return money to our shareholders, similar to a dividend; consequently, we are neither price sensitive nor market timers." Anon: Agree on Lampert's description of share repurchases. As for naming the company quoted as being "neither price sensitive nor market-timers": a) it could be a hundred companies...I couldn't guess; b) it is sickening to read; c) it will end badly for them. Jeff, it's NETFLIX! Given all the light and heat around an avowed value investor's short, and then covering of short, of said company's common stock, I found it a particularly ironic and horrifying line! I enjoyed your comparison very much in the spirit of what it was. We have all become somewhat numbed to the frantic parsing of Warren Buffett's annual letter in the hours after it is released. So, it was refreshing to see it compared to another substantial letter from another iconic CEO. I know you mentioned Hugh M. Hefner simply as an aside, but with all this talk about apples and oranges in these posts, I thought that if you ever had some free time perhaps you could turn your thoughts and pen to how these two iconic heads of companies (HMH & WEB) have provided completely different outcomes to shareholders. Once again, thanks for taking a different tack on these two letters. Jeff - what are you referring to here "minority-controlled subsidiaries"? GDS: Sorry, fast-typing error. Should have been "majority-controlled" and it was referring to Sears Canada. This is a great Buffet/Sokol hypothetical. ESL defenders seem intent to miss the contrasting philosophies of ESL and WEB, that Jeff went to the trouble of substantiating. The 'operational' and 'personnel' items are particularly egregious on the part of ESL. It's why he is becoming the Dan Snyder of retailing. Best Buy: Time for the Ackman Rumor Again!